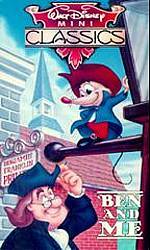 One of the books Preston Lewis loved as a child was Ben and Me: An Astonishing Life of Benjamin Franklin by His Good Mouse Amos. As Benjamin Franklin’s assistant, Amos narrated their adventures and inventions. The Ben and Me manuscript was discovered, edited, illustrated and published by Robert Lawson in 1939. The book was later made into a 1953 Walt Disney short, which was nominated for an Oscar. In the Animal Legends series, Lewis applies that first-person point of view to actual animals from Texas and Old West history. Each story is a morality tale on subjects such as leadership, sacrifice, sobriety and integrity. Just Call Me Uncle Sam: Born on a ship as his parents sail to America as part of Jefferson Davis’s Camel Corps, Ibsam grows up with his orphaned mule friend Stormy in pre-Civil War Texas. Uncle Sam, as Ibsam becomes known in the Cavalry, must face a harsh climate, Indians and even Stormy if he is to survive. 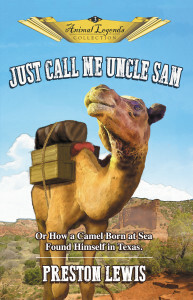 See Texas through a camel’s eyes in Just Call Me Uncle Sam: Or How a Camel Born at Sea Found Himself in Texas. 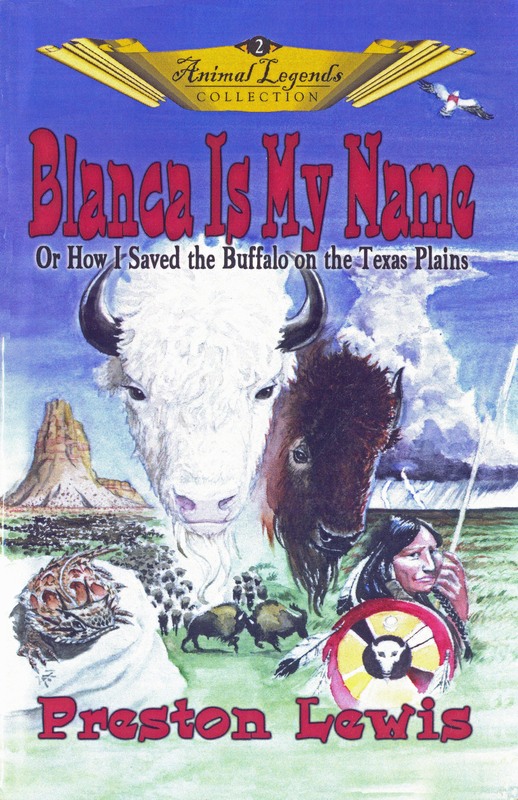 Blanca Is My Name: As a white buffalo, Blanca always endured taunts from those who teased her for being different. But that difference made her special and helped save the buffalo from extinction in Texas. In Blanca Is My Name: Or How I Saved the Buffalo on the Texas Plains, explore how Blanca managed frontier life in the time of the Comanches and the buffalo hunters. 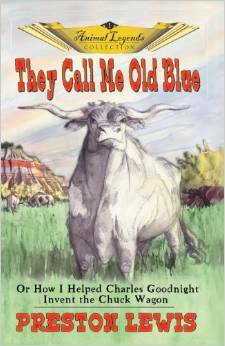 They Call Me Old Blue: As the lead steer for Texas cattleman Charles Goodnight, Old Blue blazed the way for the great Texas cattle drives. As Old Blue observes, “The Cowboys who rode with me claim they did all the work. They’re wrong!” Follow the adventures of Old Blue as he teaches the cowboys how it’s done in They Call Me Old Blue: Or How I Helped Charles Goodnight Invent the Chuck Wagon.